Kentucky Vintage Spirts Sales Start Slow. Even outside of Kentucky, bourbon enthusiasts know that last year Kentucky passed House Bill 100, which was then signed into law by Governor Matt Bevin, permitting private sales of “vintage distilled spirits” to specially-licensed retailers. This was a much-welcomed exception to the general rule in Kentucky and elsewhere that secondary market sales are illegal. Despite the exemption for sales of vintage spirits, regulations have not been implemented yet to define vintage spirits. The only definition in the new statute is that to qualify as a “vintage distilled spirit” the spirit must be in the original, unopened container, it cannot be owned by a distillery, and it cannot be “otherwise available for purchase from a licensed wholesaler within the Commonwealth.” KRS 241.010(66). Effective January 1, 2018, a retail licensee selling vintage distilled spirits purchased from a non-licensed person must give the Department prior written notice of the proposed retail drink or package sale, which includes the following information: (1) name and address of seller; (2) the quantity and name of the alcohol product being sold; (3) the date of the sale; and (4) name and license number of retail licensee. This notice shall be provided via electronic mail to the following email address: abc.info@ky.gov. The results are now in for the first month of vintage spirits sales in Kentucky, and, disappointingly, there was no Very Very Old Fitzgerald from Stitzel-Weller, no pre-Prohibition Old Crow or Old Taylor, and not even any 16-year A.H. Hirsch. Maybe sellers are waiting for the regulations, or maybe they’re being patient by testing the waters slowly. Or maybe they’re testing the limits of what might be considered “vintage” by selling more recent bottles first. 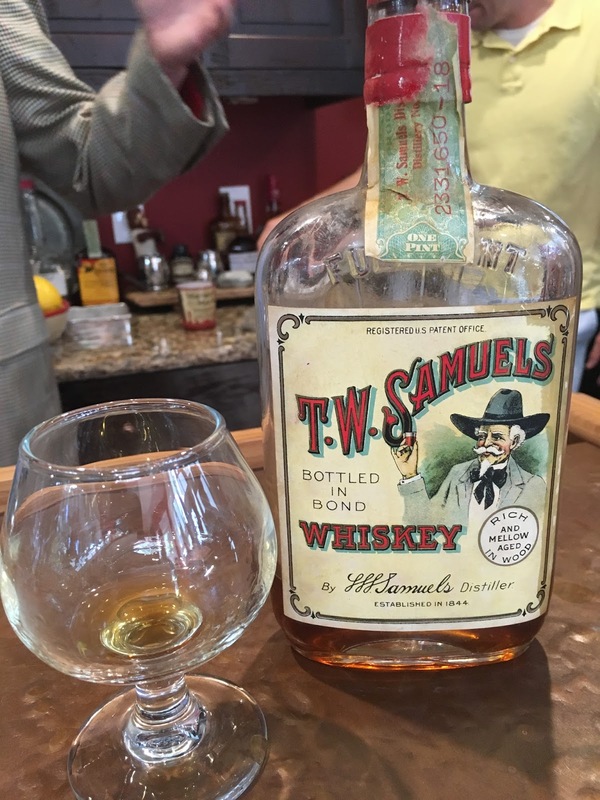 The most legitimately-vintage sales were to Feast BBQ in Louisville, which landed bottles of Anderson Club 10-year and 15-year, a bottle of Kentucky Prince, and a bottle of Very Old St. Nick Ancient Cask 12-year. Another Louisville restaurant with common management, bar Vetti, purchased far less exciting bottles, like three Woodford Reserve Master’s Collection editions (1838 Sweet Mash, Four Wood, and Maple Wood Finish), along with a Blanton’s bottled in 1992. The only other reported proposed purchase was in northern Kentucky, by Braxton Brewing Co., which listed recent BTACs, Angel’s Envy Cask Strength, Elijah Craig 18-year and 12-year Barrel Proof, Four Roses Al Young 50th Anniversary Limited Edition and the fall release 2017 Limited Edition Small Batch, Elliott’s Select, last year’s Parker’s Heritage Collection and Old Forester Birthday Bourbon, a few Van Winkle brands, Wild Turkey Master’s Keep, and many, many others. Braxton Brewing also listed perfectly good but completely non-vintage bourbon like Elmer T. Lee and Rock Hill Farms, and never-in-a-million-years-should-it-be-considered-vintage bourbon like Weller Special Reserve. Prices are not part of what the ABC requires in its email report, so we can’t compare these sales to the secondary market, but anyone interested in selling bottles might want to check with their favorite restaurants and retailers to see if we’re in a seller’s market. Regardless, Kentucky’s new Vintage Spirits Law is bound to increase the availability of vintage and rare bourbon for thirsty Kentuckians and visitors to the Bourbon Trail. And with Feast, bar Vetti, and Braxton Brewing on the leading edge, you might want to start there. I'm curious if these sales are being recorded with the ABC, could sales taxes or use tax be expected? That is of course if you are a Private Seller and at the end of the year you're asked to report your sales? Or maybe I'm just over thinking this, considering the sale amount isn't recorded. What are your thoughts? You're definitely not over-thinking this. [DISCLAIMER: NOT LEGAL OR TAX ADVICE] Check out IRS Pub. 525 (https://www.irs.gov/pub/irs-pdf/p525.pdf) at p. 33, which explains the general rule about selling personal property for a GAIN. It's not a sales or use tax issue, but if an owner sells for a gain, it could be an income tax issue. The really weird this about Braxton Brewery is that it's a craft beer focused business and completely not Bourbon focused at all, never even seen any liquor there at all. Wouldn't “informal guidance” violate KRS 13A? “Informal guidance” was my phrase, not ABC's, and I haven't looked at the requirements of Chapter 13A. All I know is that I don't see any regulations promulgated by ABC as required by KRS 243.232(1). It's an interesting point that you make.